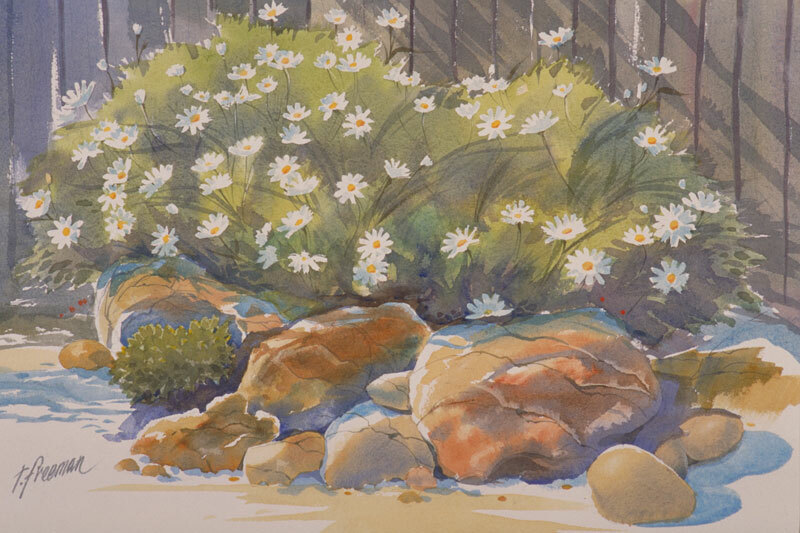 Thomas Freeman Original Watercolor Painting: "Corner of the Garden"
This is our little garden in the back, a rock garden by the old wooden fence. The rocks are pretty well defined; I handled the Margaritas in a looser manner. I did the flowers by first using masking glue, then flowing in all the colors, and finally removing the glue and applying the yellow centers. One visitor commented it looked better than the real garden!